Home » Car » Chevrolet » Chevrolet Orlando » Chevrolet Orlando 2019 » Chevy Orlando » China » Orlando » SUV » This is the Latest Chevrolet Orlando figure, Appears in China! At the beginning of June 2018 our past editorial team had discussed the fate of Chevy Orlando, which seems like a stepchild between the cars - other SUVs. At that time we predict that Chevrolet Orlando will only have two options in the future, still rely on the old generation, or injected death. 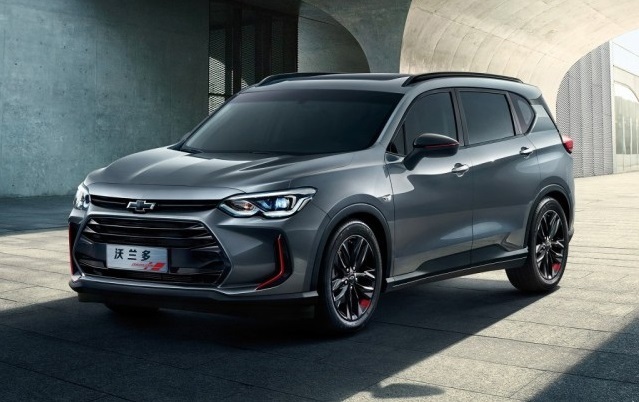 But it turns out General Motors gives a surprise in the last two days, which appears the figure of a car that uses brand Chevrolet Orlando in China. Check it!. 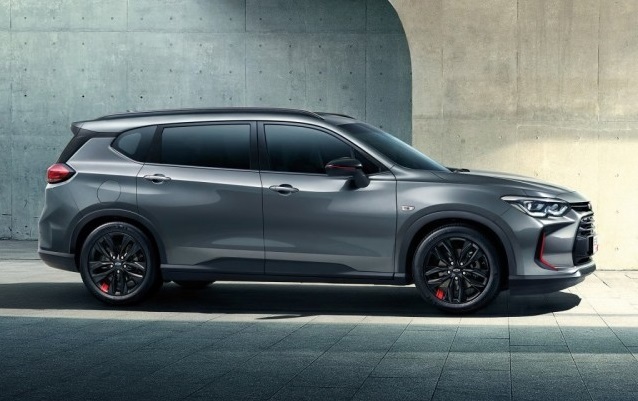 Views of this car itself looks quite attractive, especially with the accent SUV that comes in this car. But there is a thing that we just highlight, the design style of this Chevrolet Orlando is very South Korea, even feels more South Korea compared with KIA even though the more European feel today. Starting from the front view, large and rounded bulbs in previous models have been replaced with lights that are narrow and look firm. Grille from Chevrolet Orlando has also been following the style of Chevy design that uses a grille two-level, large on the black bottom side of black, and the top only one chrome line horizontal strip. Oiya, front bumper of Chevrolet Orlando also has a bend on the outer side, like the SUV and even more like a mustache in a Toyota car. LED DRL is present in Chevrolet Orlando is also seen okay, because it is divided into two blades on each - each lamp. Oiya, if you observe, there are two white and gray-colored official pictures, which appear to be a gray variant of this variant is the top of the line this car with the name of the Redline variant. In this highest variant, the emblem of the Chevy is dark, while the white unit uses a gold colored logo. O, there are also red - red accents on the bumper and rear view mirror, reminiscent of what? Yep on New Toyota Yaris, not Yaris Grady but. In addition, red accents are also in the velg of the highest variant. Bonnet from Chevrolet Orlando is also seen more okay with a more muscular curve. Moved to the side, there are two wheel schemes provided in this Chevrolet Orlando, white and black, but with a similar shape. Add On Body in black is also still in this latest Chevrolet Orlando, where add on the side has a form that is quite unique in the form of hexagonal. 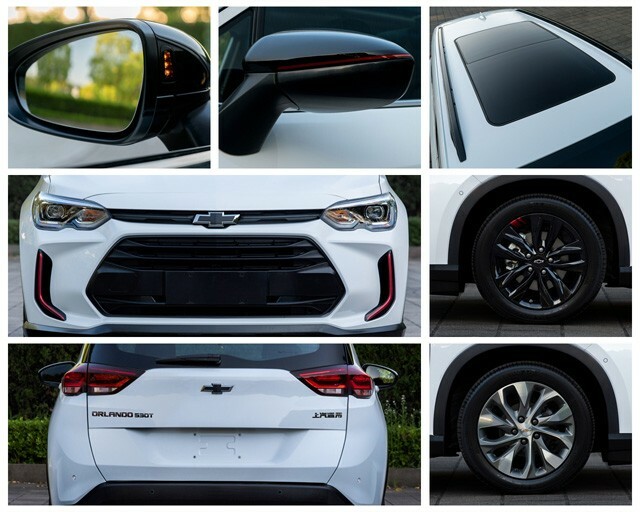 Roof rails are present in gray variants, but not in white variants, and the mirrors have a cute shape, and for white variants whitewashed body color, while other variants whitewashed black, plus a red-red accents. The fin shark model antenna is present in all variants, and the panoramic sunroof seems to be present only in the highest variant. Pillar D from this car made no accent floating roof, although only a thin line only, maybe again the trend. 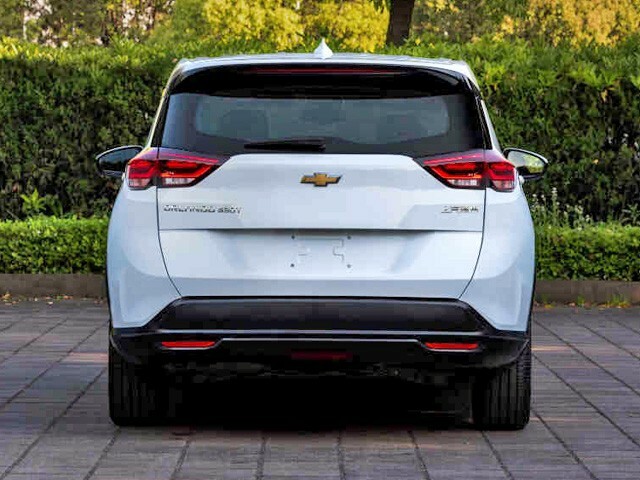 Moving to the back side, Chevrolet Orlando uses a completely different design. Rear lights that once form the box is not clear now been replaced with a light that in line with the headlights. There is an LED bar on the inside of this lamp, accompanying a high mounted stop lamp that looks wide, a tiny rear wiper, and two reflectors on the rear bumper side. Unaware there is a reverse camera or parking sensor in this white car, it seems likely because this variant is not a top of the line variant, but for the highest variant seems to be equipped with parking sensors. Chevrolet Orlando itself is manufactured by SAIC-GM Dongyue Automobile Co. with a completely new engine for this car. Yep, the engine is not a 1.800cc engine as we know it, but discounted 500cc and given additional Turbo. Turbo 1.300cc engine it will be combined with 6 speed manual transmission and automatic with the same number of teeth. O, maximum power is in the numbers 156 hp, nice for the 1.3L Turbo engine right? Oiya, for the Redline variant itself will get the same machine, but with output power up to 163 hp, crazy. So it's true that the red is Faster. This machine itself is a derivative machine from Buick GL6. Well, interesting of course if one day SAIC-GM include the Chevy Orlando in the form of Wuling right? Or maybe it will come in the form of Chevy Orlando under GM Indonesia? All opportunities will make sense. 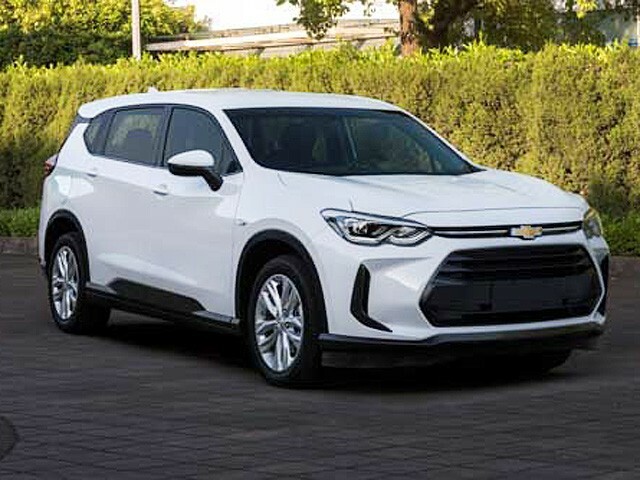 What is clear, the look of this car has been better than its predecessor, more crossover although South Korean design impression seems to turn off the name of Chevy that should have a US Look. 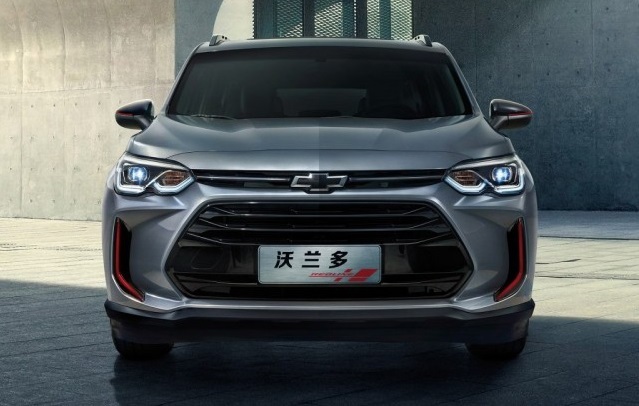 0 Response to "This is the Latest Chevrolet Orlando figure, Appears in China!"